Center consoles may be thought of as fishing boats, but they also work well for diverse activities ranging from water skiing to gunkholing to oyster tonging - and thanks to modern powerhouse outboards like the Yamaha F 350 and the Mercury 350 Verado, you can now find center consoles large enough to serve as full-blown cruising boats. Need 40 feet of LOA and a cabin with berths? That center console is out there. Want a 20-something with offshore fishing capabilities, which can still offer the comfort of a family boat? That’s no problem either. Will a simple, small bay boat fit your needs? There’s a center console out there which is perfect for you, too. The single distinguishing factor that makes a boat a center console is, naturally, a center-mounted console with a steering station. 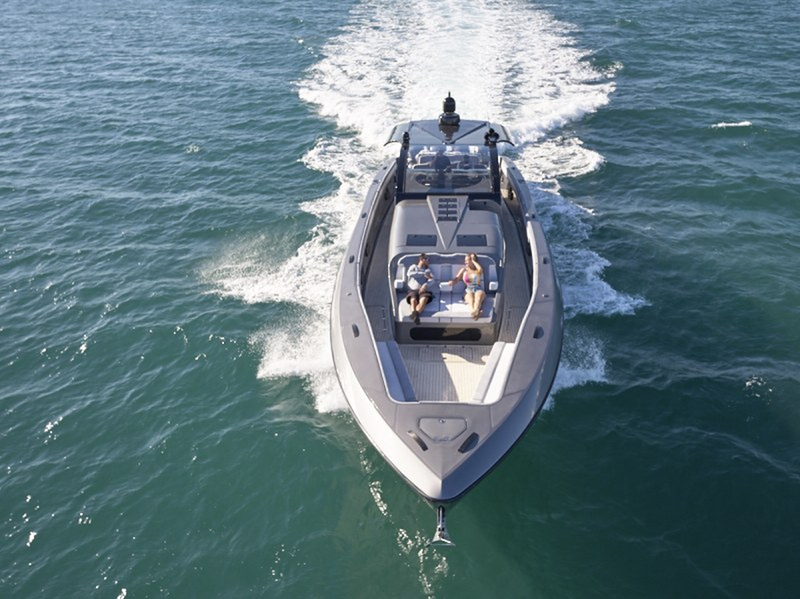 Models from 20’ and up commonly have a head compartment inside the console, those 30’ and over may provide a true cabin in the console which sometimes also runs up under the foredeck, and some even have a small “Bimini cuddy” cabin enclosing the bow. But these aren't true cuddy cabin boats, and much less space is dedicated to the enclosure. The stern cockpit remains open and uncluttered in most models, although on many modern center consoles, fold-out seating commonly pops out of the transom and in some cases, the inwales. 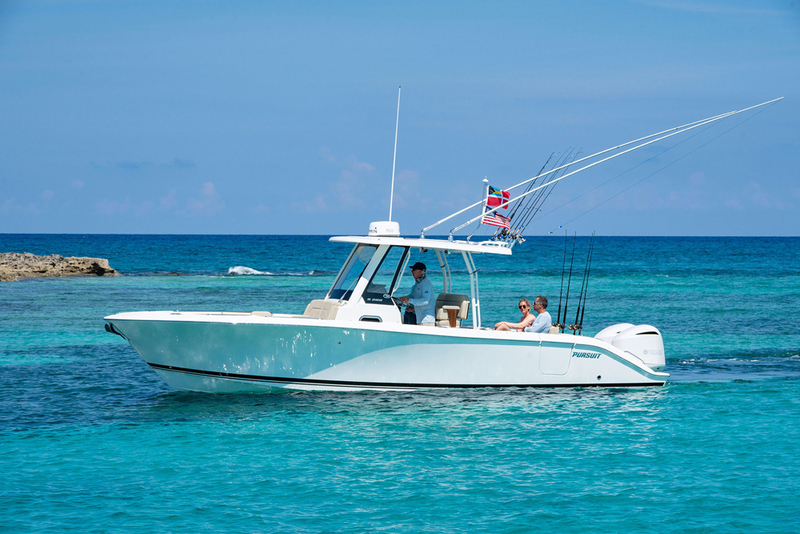 This is one of the newer factors that makes a center console so versatile: when you want to go fishing fold all that seating away, and when it’s time for a dinner cruise, fold it out and take the entire family along in comfort. 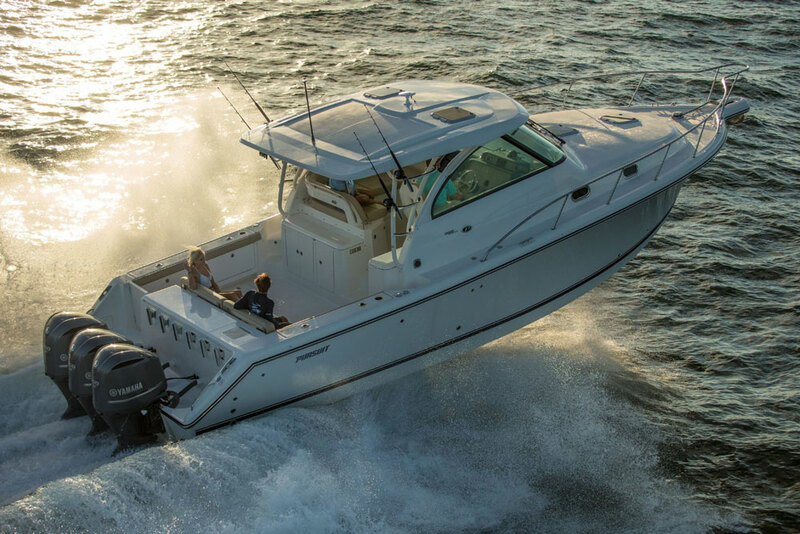 Speaking of comfort: on larger, more modern models, you’ll find that a center console can offer every bit as much as a high-styled express or cabin cruiser. Air conditioning, built-in icemakers and electric grills, form-fitting bolster seats, and potent stereo systems, for example, can all be found on center consoles in this day and age. Even advanced joystick steering control is now available in outboard-powered CC’s, thanks to new systems like the Yamaha Helm Master and the Merc Verado Joystick. If, on the other hand, simplicity is what you desire, again the center console aims to please. There are nearly limitless choices out there for center consoles of all sizes and hull designs, from deep-V’s to powercats, which can be had with little more than a hull, deck, and console. Added bonus: simple center consoles are among the least-expensive fiberglass boats on the market. Extra Added Bonus: they’re also among the easiest to maintain. Experienced boaters will already know that many do-everything boats fail to do any one thing particularly well. Luckily, when it comes to center consoles this is rarely a problem. Countless makes and models can be found which focus on specific purposes. 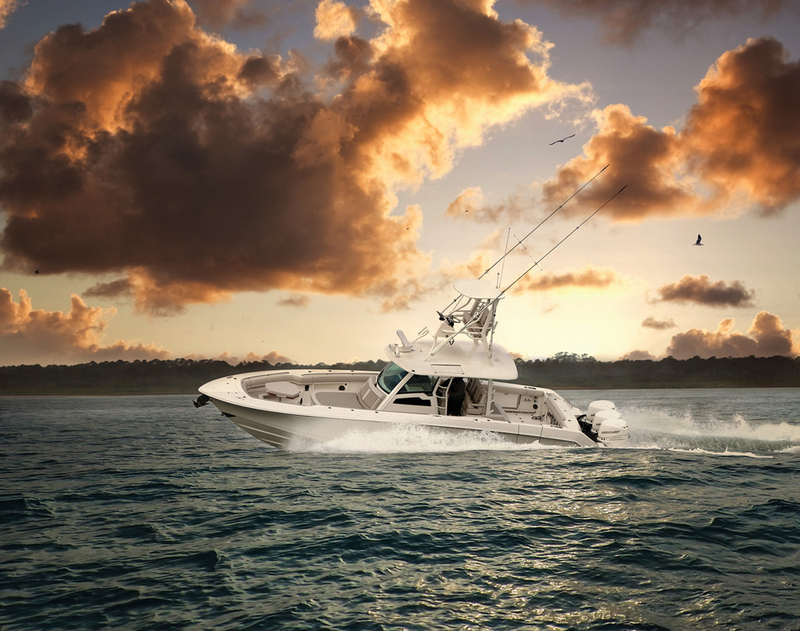 Whether you need shallow draft for getting through back-country creeks, gobs of speed for run-and-gun style fishing, a hull that can take on heavy oceanic seas, or an alternate hull material that can bounce off of rocks, you’ll be able to find a center console of that type. There are, of course, trade-offs one must make when opting for a center console. In the case of smaller models, it means giving up the convenience, protection, and overnighting abilities a cabin provides. And even on 40 foot and larger models, gaining all that open outdoor space means you lose lots of interior volume. Dry stowage can also be an issue on some center consoles. And while these boats can certainly tow toys, they can’t offer the prime wakes nor the elevated towing points of dedicated watersports boats. If you’re a dedicated angler who likes bay, river, and ocean fishing, however, nothing else will suffice. 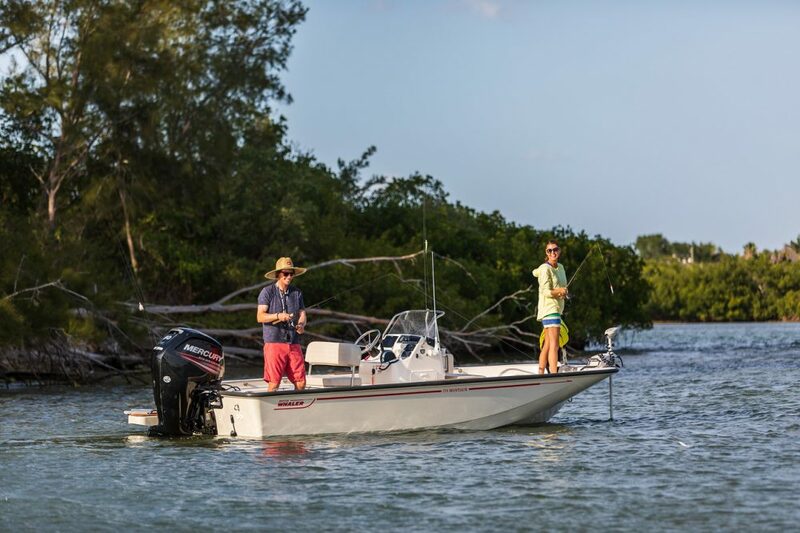 In fact, when it comes to do-everything fishboats a center console in the mid 20 foot range is just about the only boat out there that can serve equally as well when you want to go shallow water casting on day one, jigging on day two, and trolling at the canyons on day three. So, what’s it going to be, you angler/family boater/water skier/cruiser? Could there be a center console in your future? It’s a good bet.